I’ll bet when you think of sewing the word “tape” never crosses your mind. 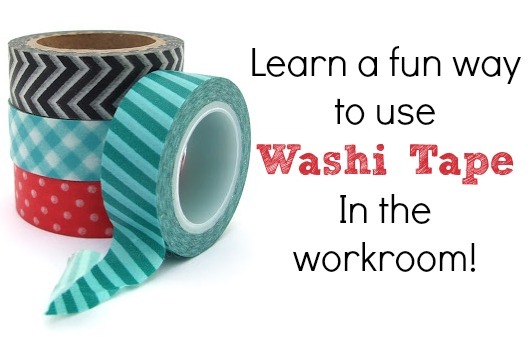 Sure, you can use double stick tape to slap up a hem in a pinch but washi tape in the work room- this I have to see! 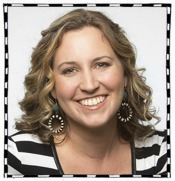 Today’s special guest is an uber talented designer and published author. Her pincushion cups caught my eye and I just love her ceramic beads. (I can not wait to create something fun with the ones I picked up from her etsy shop!) Without further ado, allow me to introduce Jennifer Heynen from Jennifer Jangles. Hi! I am Jennifer Heynem a.k.a. Jennifer Jangles. I have been a self-supporting artist for 17 years making ceramic beads and buttons. 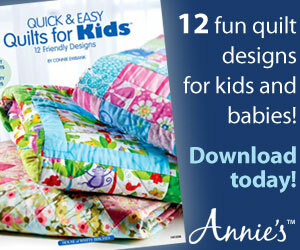 Lately, I have found myself designing fabric and other licensed products for retail. When I’m not chasing a dog, or driving my boys around you’ll find me in my Athens, Georgia studio sewing, painting or crafting happy things. 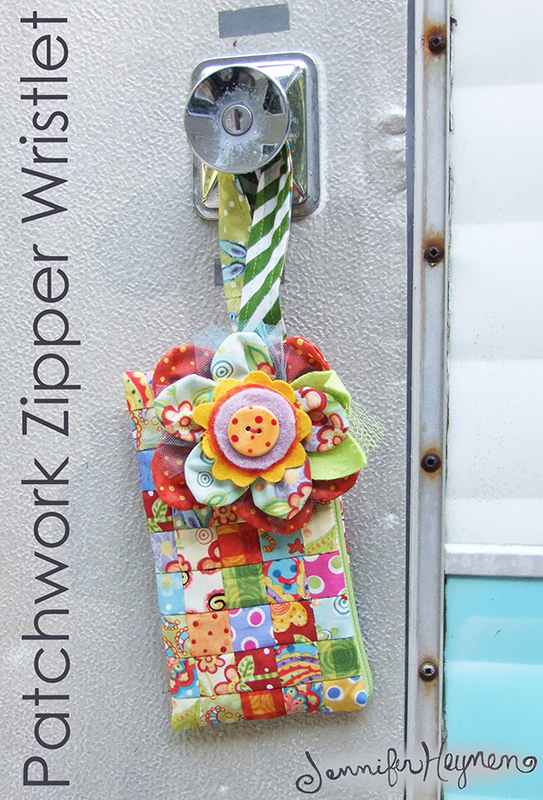 I am super excited to share my Patchwork Zipper Wristlet tutorial with you. Heather at The Sewing Loft invited me to participate in her Favorite Tools Blog Hop in conjunction with National Sewing Month. Woohoo! 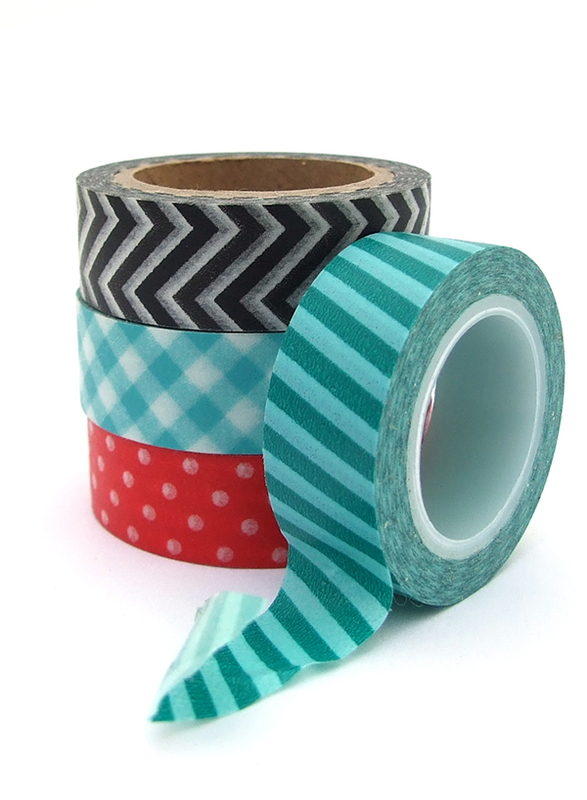 So let me tell you about one of my favorite tools….. Washi Tape. I’m sure most of you are familiar with the stuff, but just in case you’re not….. It’s basically Japanese masking tape. It comes in tons of colors and designs. Warning, once you start buying the tape, it will become addictive, just like fabric buying. There always a new pattern you don’t have. 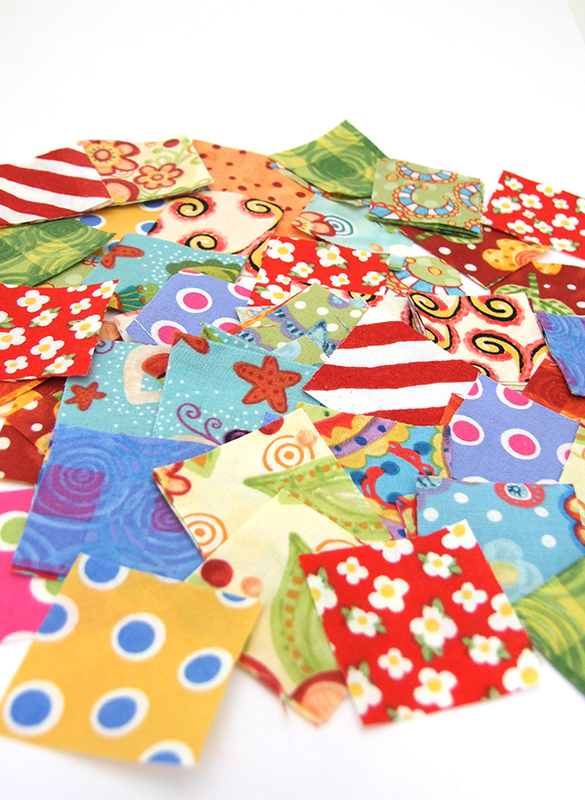 Start by cutting approximately 100 squares of your scraps that measure 1.5″ x 1.5″. Here’s where my Washi Tape helps out a lot. When I need to cut a bunch of fabric that needs to be all of the same size. 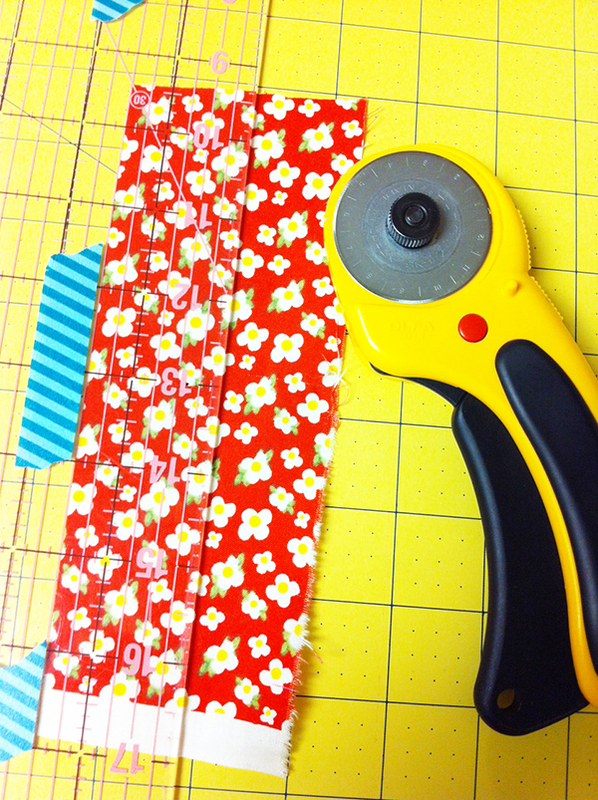 I mark my ruler or my cutting mat with Washi Tape. As you can see in the picture, it’s super easy to see the line where I need to place my fabric for my 1.5″ mark. Here are all 100 of my squares. To make the front and back pieces of the wristlet, you need two patchwork pieces that are 5.5″ x 9.5″. It’s basically like making two tiny quilt tops where the finished squares are 1″ x 1″. 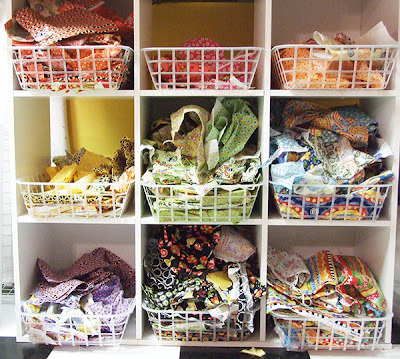 I like to arrange my squares first, but you could totally wing it and see what fabrics end up next to each other. 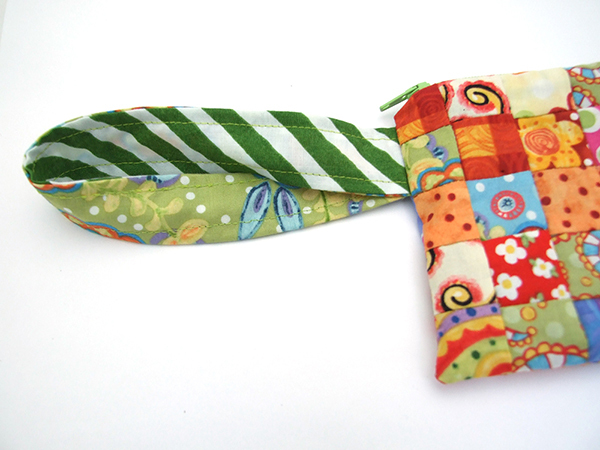 Start by sewing two pieces together with right sides facing. Make 72 sets of these. Cut them apart, press open, and sew two sets of two together. 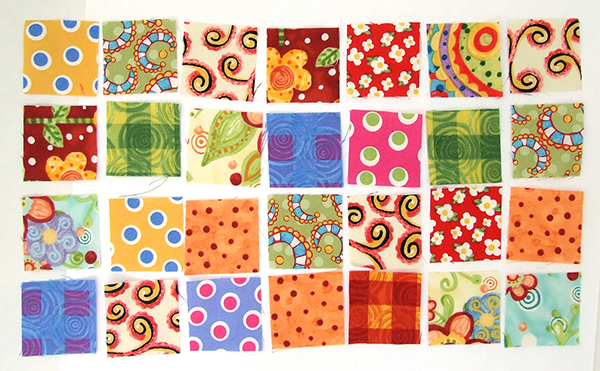 Next, sew a single square to the strip of four blocks. At this point you should have 18 fabric strips, each containing five fabric squares. 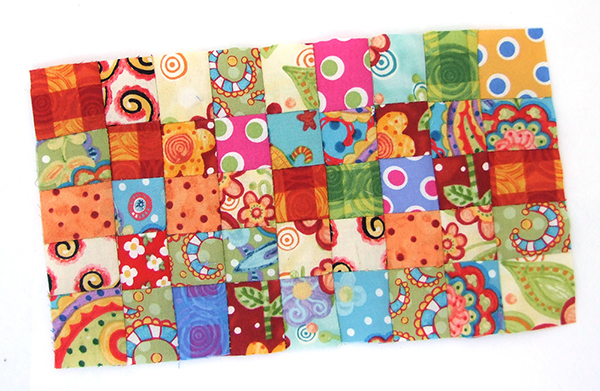 Sew nine strips together to make a rectangle that is five squares by nine squares. Repeat this for the second panel of patchwork. 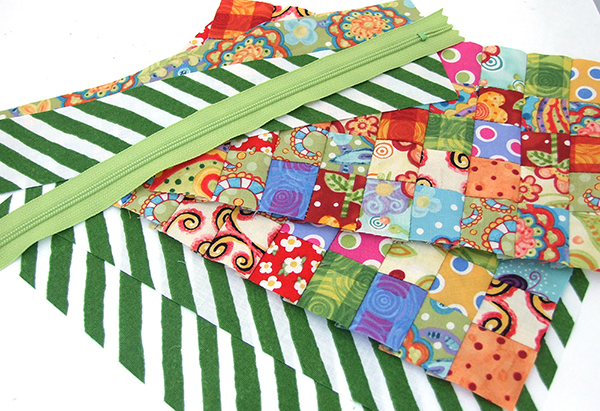 Cut two 5.5″ x 9.5″ rectangles from the lining fabric. Cut two 12″ x 2.5″ strips for the handle. With right sides together stitch down the two long sides of the handle pieces. Turn right side out and press flat. Top stitch down each side. I twisted my handle on one side so the lining and the outer fabric met up. Pin the raw edges together and set aside. Now instead of repeating a zipper pouch tutorial, you can go here to my Easy Zipper Pouch instructions and follow along to assemble your wristlet. There are photos for every step of the way. And for the flower pin on the wristlet. 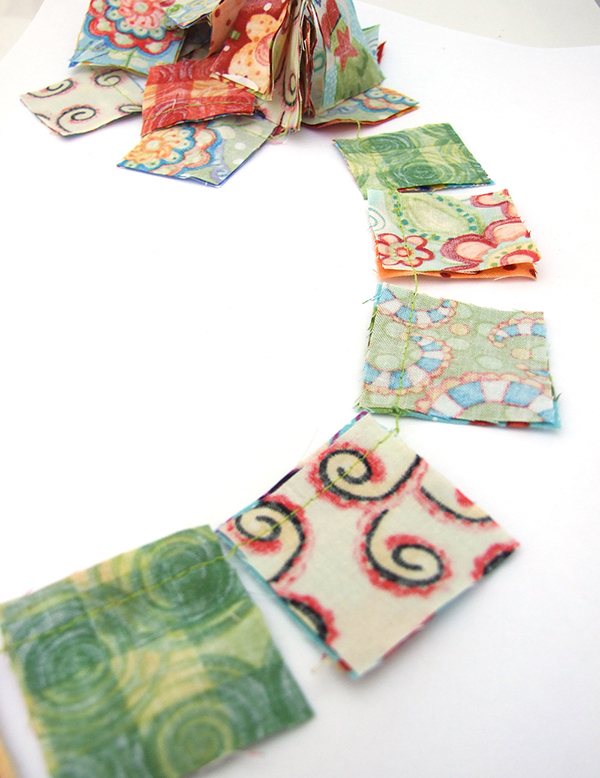 Use some more of your scraps to make these, using my free PDF pattern here. Don’t you just love how bright and cheerful her designs are? 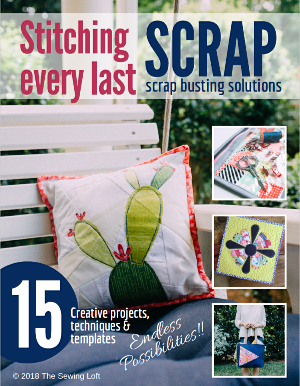 Not to mention that this project is one fantastic scrap buster if I ever saw one! 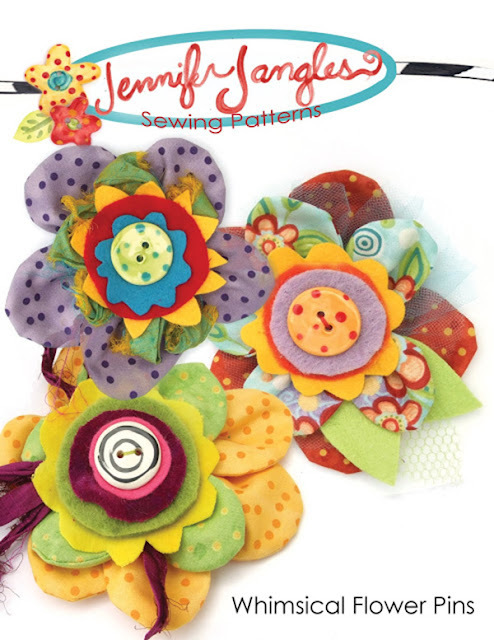 Be sure to stop by and visit Jennifer for more colorful projects! I am so excited that tomorrow is Friday and we have Carolina from 30 Minute Crafts coming to share another fun project and favorite tool during National Sewing Month. National Sewing Month is one series that you do not want to miss. To have the latest posts delivered to your in-box sign up here or follow us on Bloglovin’.